CUESA, of the Ferry Building's farmers market has been test running an off shoot market in the parking lot next to AT&T Park the past few Sundays. Since that is my one day off, it seemed like a good chance for me and the SO to wander over and check things out. Because I was still in all things pumpkin town, I meandered through the vendors looking for anything calling itself by that orange gourd. 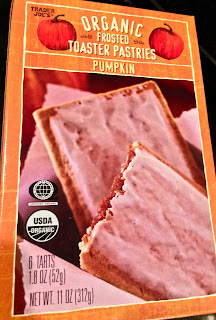 Sadly, the pickings were a bit slim for my quest, but we did managed to suss out 2 things, that while they may seemingly go together, would have been a real pumpkin overload had we tried them in one big mix. But, like (mostly) responsible eaters, we tried them separately and here's how they went down. 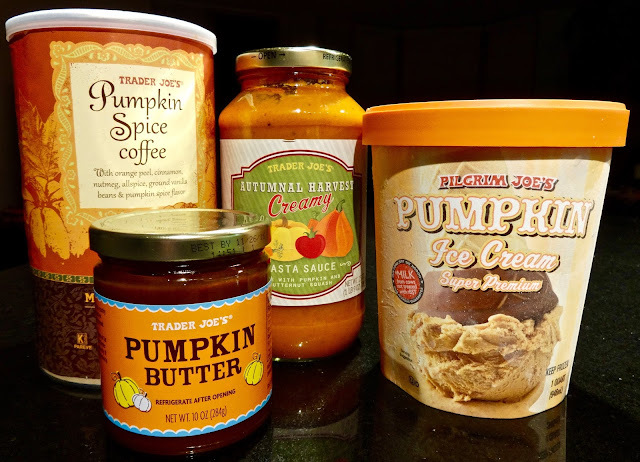 Consider us gluttons for pumpkin punishment or maybe it was just over exuberance for all things pumpkins, but me and the SO did seemingly get many a thing of pumpkinness from Trader Joe's. Fortunately our skin has not begun to turn orange from all we've eaten, but that's not to say it won't seep out our pores in the coming days. If nothing else, I will say we definitely got our fill and more to last us through Thanksgiving and beyond. Getting on with things, here's is the latest round-up from our trip to pumpkin town. The weather has finally turned chilly and fall is in the air! As is the eminent arrival of Thanksgiving next week. With that comes a parade of pumpkin related food things and the winning purveyor of many a pumpkin thing goes to Trader Joe's. On a recent visit, me and the SO were overwhelmed with the options, and like any good bandwagon jumpers, we piled our basket up with all things pumpkin! Were they any good? Well, I'm glad you asked. While we didn't get everything pumpkiny they had (I counted at least 30?) We did manage to snag enough to keep us in pumpkin town through Thanksgiving. Thus it is gonna take me at least 3 posts to get through it all for you. Because that's the kind of person I am. 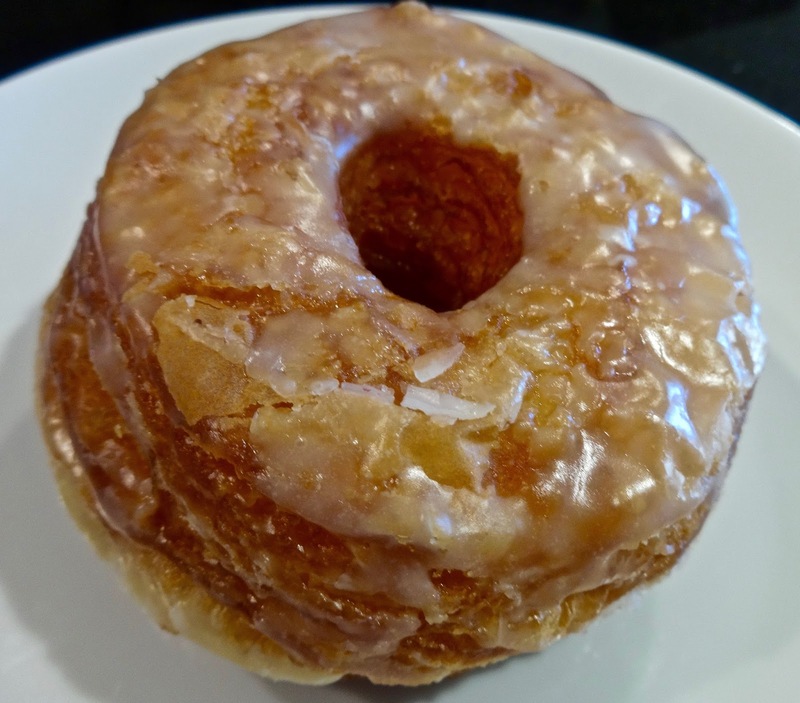 WE THE MINIS IN OAKLAND...THEY'VE BROUGHT THE RETURN OF....THE CRONUT!! I'm meandering the aisles at the Treasure Island Flea Market, taking in the wares and minding my own business, when what to my wandering eye should appear but A CRONUT! Wow, I hadn't really thought about these things since the craze swept through town then out over a year ago. During that maddening time, I bought and ate more than my fair share of these mostly flaky, sugary glaze encrusted treats. 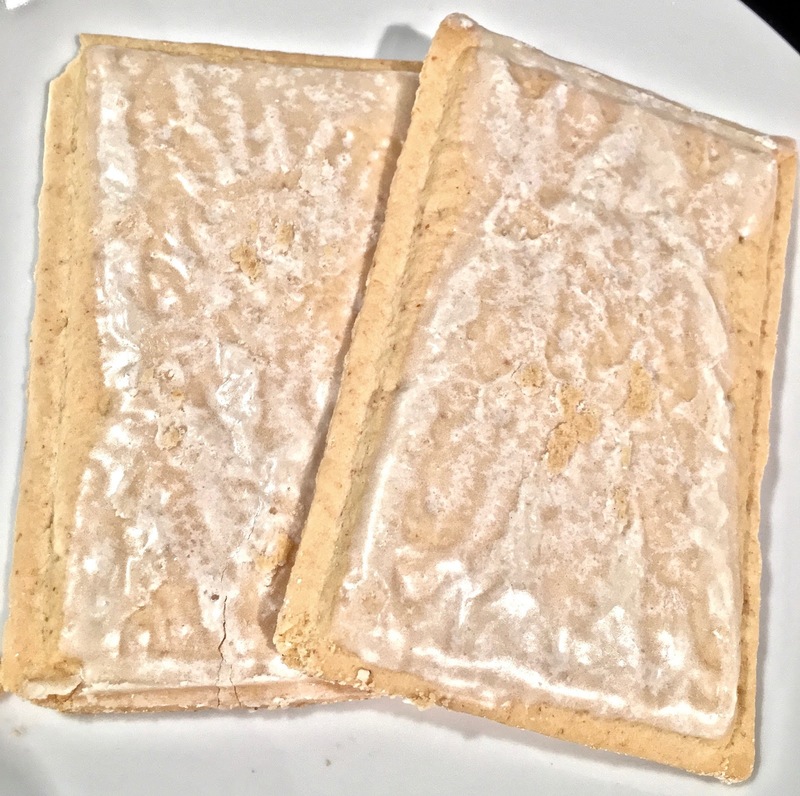 At the time, I felt sure I'd had my fill of 'em and had moved on to other more tantalizing pastries of the moment. But like a moth to a flame, I found myself being drawn to We The Minis booth and their promise of 3 desserts for $9 to see if I needed to rekindle my affair with to this once popular concoction. 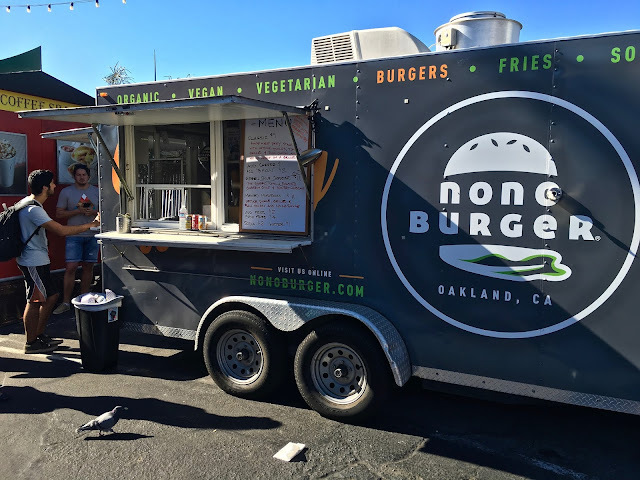 FOOD TRUCK QUICK BITE: NO NO BURGER....THEY AREN'T KIDDING ABOUT THAT NAME! It's just another vegan Sunday in SOMA StrEat Food land! Honestly, me and the SO don't necessarily mean to come here when it's all vegan, it just happens that way since Sundays are our one crossover off day. Nevertheless, it's become my goal to find something vegan that is both tasty and, well, tasty about sums it up. 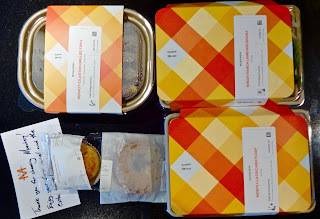 This time around we are snacking it up with No No Burger since I hadn't been down the faux burger route, I thought it would be interesting to at least try. Cinnamon rolls, yes, they are a favorite of mine, and while I normally prefer some kind of cream cheese icing on them, I was still drawn to this particular one from Acme Bread to give it a try. The thing about Acme is they make batches a few times a day on some items, others get made in the morning and sit in the case until bought. Things like this always pose a problem for me as you never really know just how long something has been sitting there, thus when you get it, I kind of have to base my opinions on what I'm tasting in the moment. For the size and at just over $3, it is a relative bargain for something in the Ferry Building. And in the grand scheme of cinnamon rolls, it's decent enough that I didn't hate it. But, I also wasn't wowed by it either. The bread here is in the flaky vein of a croissant, though having probably sat out for awhile, parts were on the hard side of things. While you can taste the cinnamon, it probably could have benefited from a bit more to ramp up flavor. Of course, for me, this is also where some sort of cream cheese topping could have come in to help cover up any short comings in the roll as a whole. 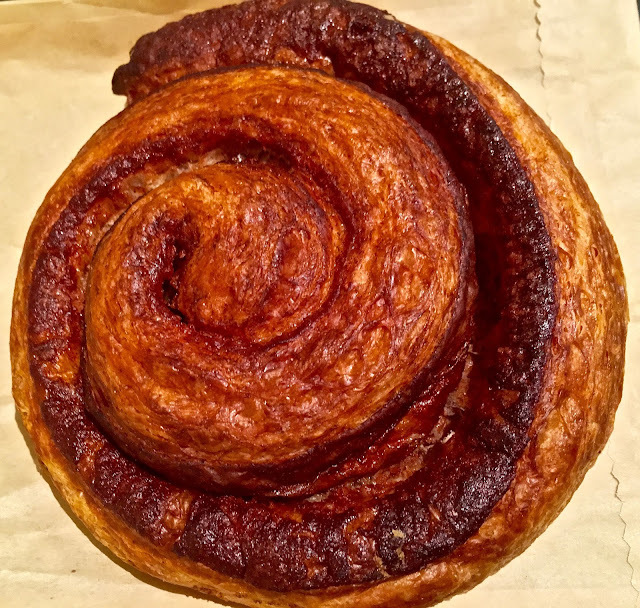 I'm sure when it's warm and fresh out of the oven, it would be soft and cinnamon croissant like. Plus the smell of a fresh baked roll would only enhance the taste senses. 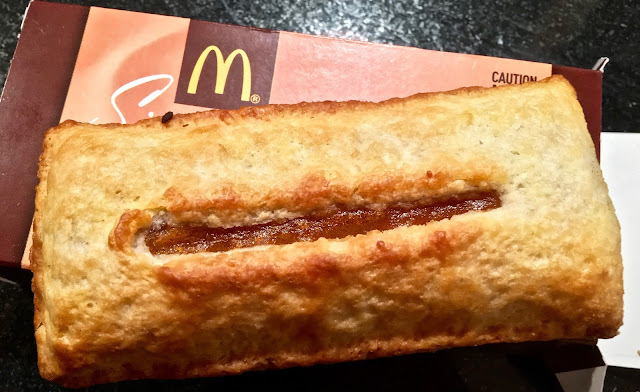 While I wouldn't personally get one of these again, I won't say don't try it. 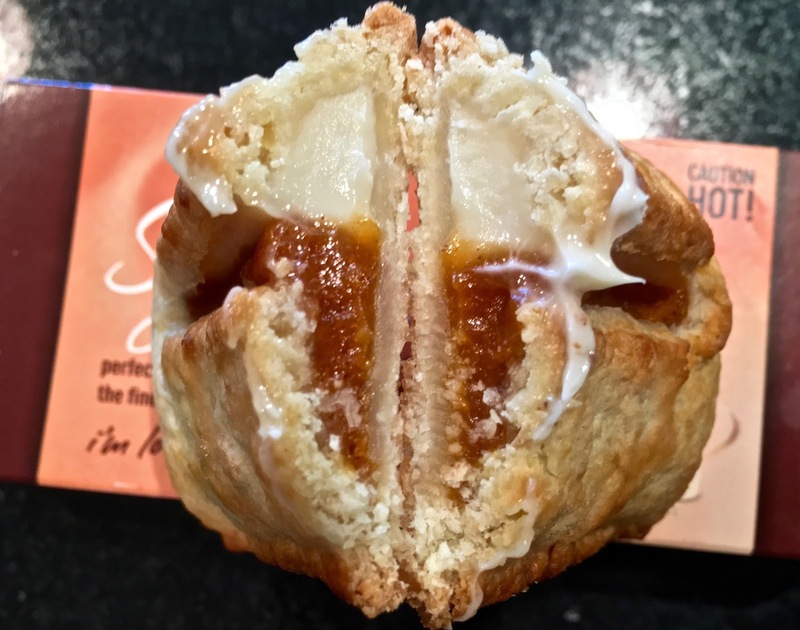 This falls into the category of baked morning buns that are best served with coffee as a compliment as opposed to something you get to fulfill a sweet dessert craving you may have. But I'm not dismayed as I will continue my quest to try as many cinnamon rolls as I can to find the best ones, because that's the kind of person I am. I eat the sweets so you don't have to. Your welcome. 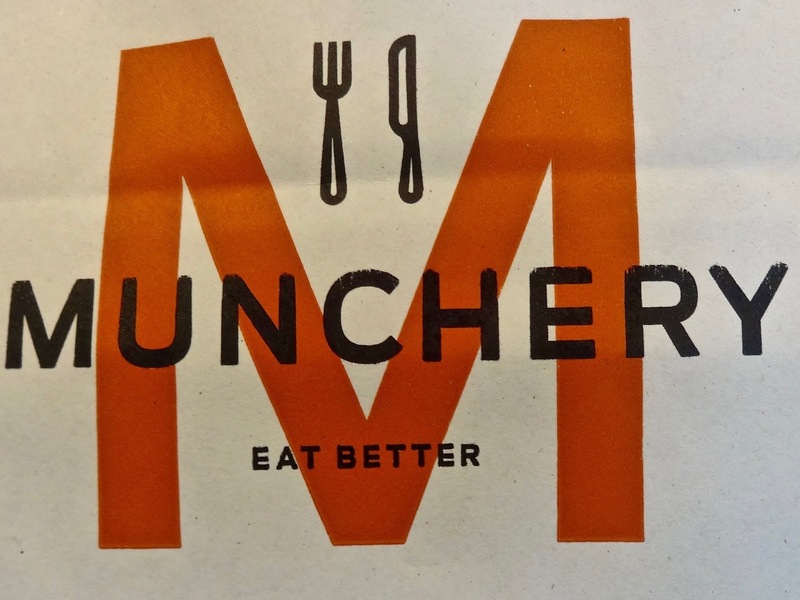 Michael Mina is expanding in SOMA...but it's a secret...sshhh. It's Ethiopian food! Though looks like you'll need to cross the bridge for it. It's 12 Nights of Chocolate, you know, if you are into that kind of thing. It's olive festival time? Who knew! From one sushi place to another--how much of a difference is there? Time to carbo-load in the Marina. Will those yoga panted folks go for that? 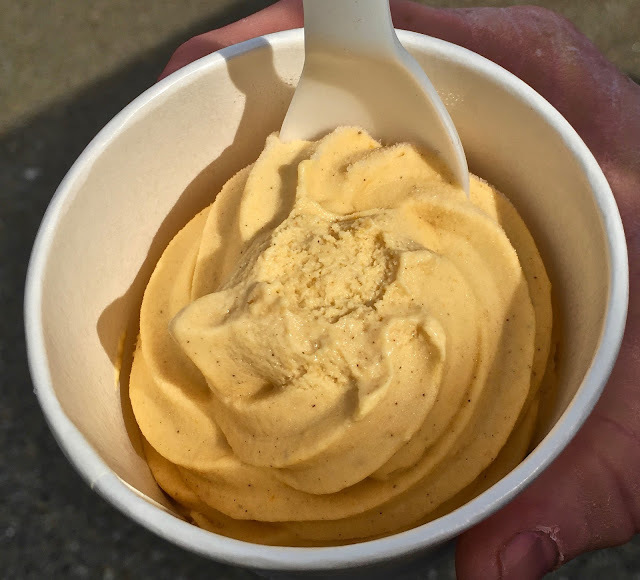 SFWeekly checks in on Cowgirl Creamery and the state of fancy cheese in SF. Sous vide for the masses! It's like crockpotting with boiling water! Did everyone catch these new restaurant openings in October? Because it is hard to pick just the right bar in the Mission, The Infatuation runs them down for you! FOOD TRUCK QUICK BITE: SAM'S CHOWDER MOBILE....IT'S MORE LOBSTER WEEK!! Yes, I'm on a weird lobster binge, though merely coincidence (wink, wink), It was a bright sunny Sunday when I headed over to check out the Treasure Island Flea Market. I grew up haunting flea markets and such with the Mom, and while I don't buy things anymore, I still enjoy wandering the aisles seeing what personal possessions people are passing off as "collectibles." One thing the TIFM has going for it is the number of food vendors and trucks that partake in the action. Outside of Off The Grid or SOMA StrEat Food Park, it's one of the places you can peruse multiple trucks at once. This day was no exception and lucky for me, there a handful I'd not tried yet. After walking down the procession I zeroed in on Sam's Chowder Mobile to see if they could do lobster better than other folks. Mall food, it's not the same as I remember as a child, at least not at malls in the city. 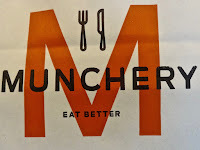 These days, they've tried to upgrade their food courts from the standard quick bite to go fare of yesterday. 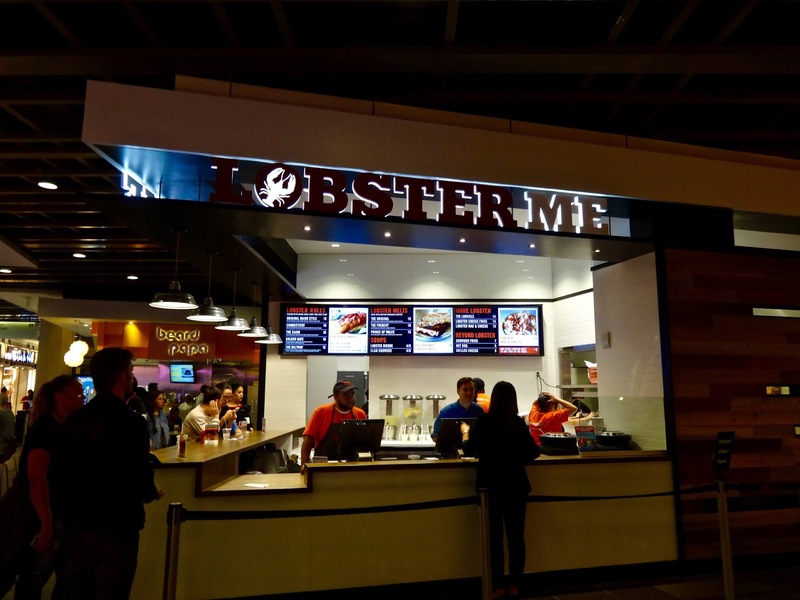 Or so it is at the Westfield in San Francisco where they've made the effort to look beyond your McD's and Panda Express'. I hit up that movie theater there on a fair number of occasions and, just because it's there, me and the SO also hit up the food stalls. Like any place, some spots have managed to do well and others have come and gone in the blink of eye. 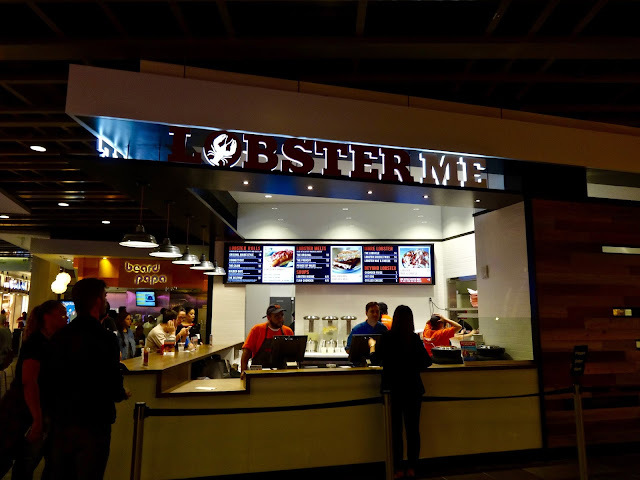 On a recent visit, a new place had popped up called Lobster ME, the "ME" sort of being a double meaning of both "me" and the postal abbreviation for Maine.